This week is all about weather in kindergarten. First up...wind! I started the lesson checking on their prior knowledge by asking them for some weather facts. Once again I was so impressed with all they already knew. I wrote their windy facts on chart paper and we review them each day. 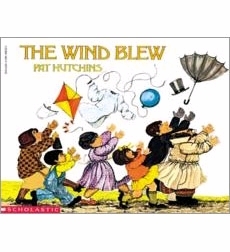 Once we collected our windy facts, I read a story by Pat Hutchins titled The Wind Blew. Then we tried a windy experiment. We wanted to find out how far wind can move things. I gathered my materials: A feather, some plastic straws, some masking tape and a permanent marker. I placed a piece of tape on the floor to mark our starting spot, then gave each child a turn blowing their feather as far as they could. Once the feather landed, I marked that spot with a piece of masking tape. The following day, we measured our distances with unifix cubes and recorded them on chart paper. The kids had a great time and learned a little something about air movement and wind. The measurement piece added some math concepts, estimation, measurement, and addition and subtraction. Hi! 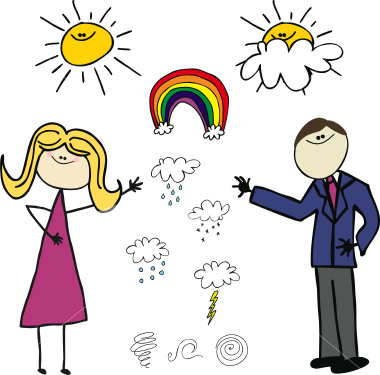 I love your blog, and we are about to start a unit on weather this week, so I will probably be using some of your great ideas! 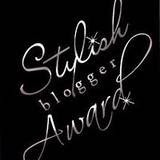 I am also awarding you the Stylish Blogger Award! Please link back to my blog for the rules and the blog award image! I knocked my TAP observer out this week with this lesson! It totally blew her away. Thanks so much, and oh I forgot...the kids loved it too! They loved it, loved it, loved it! Thank you so much! I love your blog, and we are about to start a unit on weather this week, so I will probably be using some of your great ideas! Thanks for the great shearing. i really enjoyed it. This is great! I'm going to use these ideas for our weather unit next year! LOVE IT! I'm Lisa, mom, wife, kindergarten teacher. I love my job and work with some of the best teachers on the planet. I can't imagine doing anything else! A little style goes a long way! Everything you read here is my own original work. If I post an idea I've gotten from someone else I'm sure to give credit and ask that you do the same. I'm always willing to share, please just add my name and blog link to your posting. Ok, summer has officially started! Zero the Hero video contest winner! S is for Seuss Part 2! I'm a New England Blogger! Mine, but willing to share, just let me know! K is for Kindergarten by Lisa Collins is licensed under a Creative Commons Attribution-ShareAlike 3.0 Unported License.